Mr. Cermak was born and raised in Jersey City, New Jerse y, and attended St. Leo College - now known as St. Leo University. He earned his Bachelor of Arts degree in English with a minor in Public Speaking and also has endorsements in Reading, ESOL, Middle Grades Language Arts 6-8, English 6-12, and Coaching. 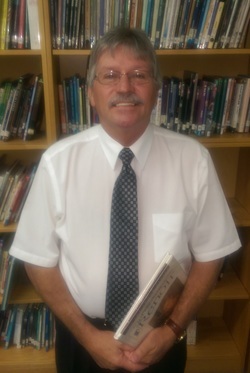 Mr. Cermak has been teaching language arts for 37 years – 34 of which were right here at Parrott. He also spent a year and a half at Hernando High School and one semester at West Hernando Middle School. Some of the many additional duties Mr. Cermak has performed for us at Parrott over the years are as follows: DSPMS Team Leader; Language Arts Department Chair; Athletic Director; Production Assistant; Six Traits Trainer; Writing Coach; Student Government sponsor for 9th grade 1977-1983; baseball coach 1979-1985; girls’ basketball coach 1977-1980; volleyball coach 1986 (DSPMS); varsity girls’ basketball coach 1981-1985; varsity softball coach 1985-1988; varsity girls’ basketball coach 1987-2000; and 9th grade boys’ basketball coach 1986 (HHS). Currently Mr. Cermak is the Instructional Practices Coach assisting the teachers in reading, language arts and Social Studies. He also believes that one of his responsibilities as a staff member at Parrott is to assist each and every student to believe that success in education can be achieved by anyone. Mr. Cermak enjoys the camaraderie of the administration and staff at Parrott in addition to working with our teachers and students. You can find him almost anywhere on campus – classrooms, computer labs, the media center, or administration - basically anywhere except his office. A fun fact about Mr. Cermak is that he loves St. Patrick’s Day! He is always willing to talk to any parent about their child’s education so contact him as soon as you have a question or concern.